Weather it's your first residential or commercial project or you have multiple building projects being built at the same time our experienced design team will help you every step of the way. Our professional team are trained to assist our clients from creating style & design concepts for the space, product selection, to installation. We have purchased tile here throughout the years. They have a nice and unique selection of tile. Their products are good quality. The staff was helpful giving valuable input from style selection to care and maintenance of the tile. Great experience. Lisette is so knowledgeable and a delight to work with. The store has so much to choose from with friendly prompt service. Just a pleasure to deal with professional yet personable staff. We’ve used Padron Flooring for remodeling 2 bathrooms, flooring and a kitchen and I would highly recommend them to anyone! Working with Lisette was like working with a long lost friend. She immediately understood our taste and gave helpful input to make sure we selected the best products to achieve the look we were going for. Of all the people we’ve worked with throughout the remodeling process, Padron was by far the easiest and most helpful of our entire experience. My favorite tile showroom. Excellent customer provided by Sales Rep. Cathy Dominguez. Very happy customer! One word, LISETTE!! We had a flood and had to re-tile our entire house. Lisette helped us front start to finish. She took the time to get to know us and our taste, and helped us pick out flooring for every room. She also helped us with a new kitchen backsplash and tiling of our master bathroom and shower. She was extremely helpful each step of the way. She also gave us her opinion on countless other decorating ideas. We highly recommend Lisette and Padron flooring for all of your tiling needs. You will thank me for sending you there. My husband and I had a great experience using Padron flooring for our new tile throughout the house. It was even more of a pleasure to work with Sue Gonzalez, who was exceptional with her expertise, advise, and helpfulness. It was not easy to choose a tile style since my house has an distinct accent wall, but with Sue’s guidance we found the perfect match that will make our floor timeless. She even saved me a trip to the store since I trusted her with her taste to choose the most compatible grout color. Additionally, the tile installers also commented on the tile and said it was very high-quality and very impressive. I was happy to hear that from an unbiased tile installer crew! I have been using Padron Flooring for the last 12 years. Since I do floors I know a lot of tile stores in South Florida. No one compares with Padron, the showroom is spectacular and makes it super easy for me and my customers, the service and professionalism to prep the orders and delivery for me makes the difference. I have to say the quality of products and prices is unbeatable the knowledge of the sales team is outstanding, for sure before you buy you tile you need to visit Padron. We were directed by friends to use Padron Flooring because of their stellar reputation for service and quality of their materials. Were were not disappointed. We used Sue at Padron for assistance in picking materials for the house we were building in Tequesta. Sue was our guide in selecting all the tile material we used on our floor, walls, bathrooms, lanai, and what ever else was needed. All our tile selected is from Padron. Sue's expertise helped us tie everything together. Thank you Sue and Padron Flooring. My husband and I went into Padron Flooring to pick out tiles for our new home. We were completely overwhelmed by their selection. Lisette helped us in every way possible. She is amazing! We chose a tile, but we still had concerns about the color. She contacted two previous customers that chose that same tile, and told us that we can go to see the tile down in their homes. This was so helpful. Seeing the floor down, we knew it was the perfect tile for us. All of her recommendations, from tile to grout to installers were outstanding. This is my favorite place to shop for tile. The large area has tile set up on the floor and walls so you can get a good idea of what you want. All of the sales girls are very very helpful. The prices are reasonable. 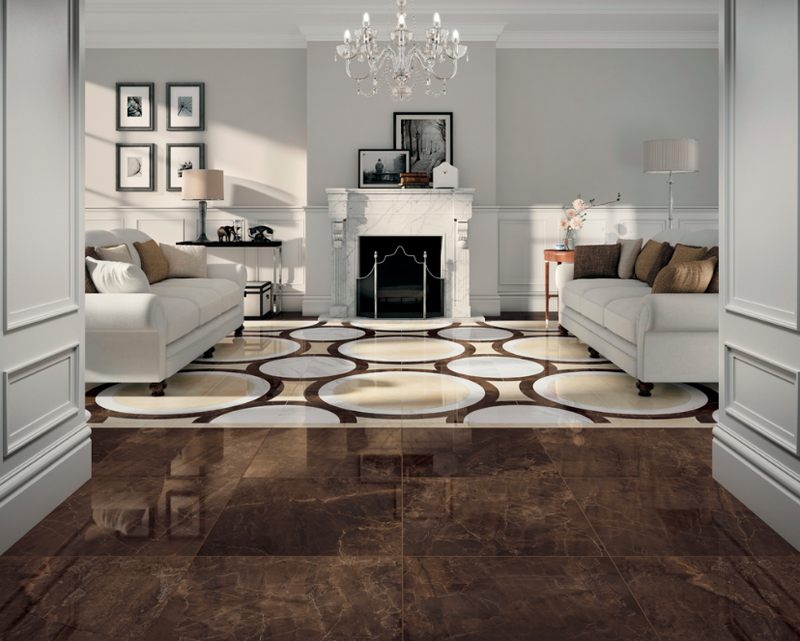 Padron tile is the mecca of tile and quality. Every time I walk into the store there is more beautiful and unique tile than the last time I was there! Alisa helped me choose the tile and matching floor tile and make the bathroom of my dreams. There were changes that I had to make along the way and Alisa was always there to make the process easy. I would always go back to Padron for any tile needs that I have in the future. Wonderful selection, most helpful sweet staff. I’ve been buying from them for years and they never stop amazing me. Such a pleasure to walk into this beautiful showroom every time. Alisa Padron and the rest of the team have delivered top notch service and exceptional value from our first point of contact. Highly recommended. Staff is extremely helpful. I worked with Alisa and she is wonderful. She helped me with 2 bathroom remodels last year so there was no question that I would have her help me with this remodel. Awesome selection with a bright, clean showroom!!! A quick note to express our happiness with the new floor and the experience of dealing with Padron. Lisette was patient and informative with all our questions and helped us to get a great value without stretching my budget too much. Also they worked with installers (ARH Flooring) to figure out the best options. You understood my style and concerns. The end result is a beautiful floor and great experience. Top of their game! Do not waste your time going anywhere else! Amazing choices and displays are set up to totally visualize your idea. Katherine Hidalgo helped us each and every time we came in. Her service was professional and courteous during each and every visit. Her suggestions and ideas were contributing factors in our choices. Thank you Padron Flooring, I can't say enough, your service was the best! High quality products, very knowledgeable and helpful staff. Sue and the whole gang at Padron are our go-to for flooring! They are consistently friendly, happy, provide great service, always try to match or beat pricing and try to make my deadlines for delivery every time! Thank you Padron Flooring for the amazing experience and to Lisa Albanese for her expertise and design knowledge. It was a pleasure to work with Lisa and her extensive knowledge and vision when making selections for our entire house. We highly recommend Lisa and Padron Flooring because they make everyone feel like family! 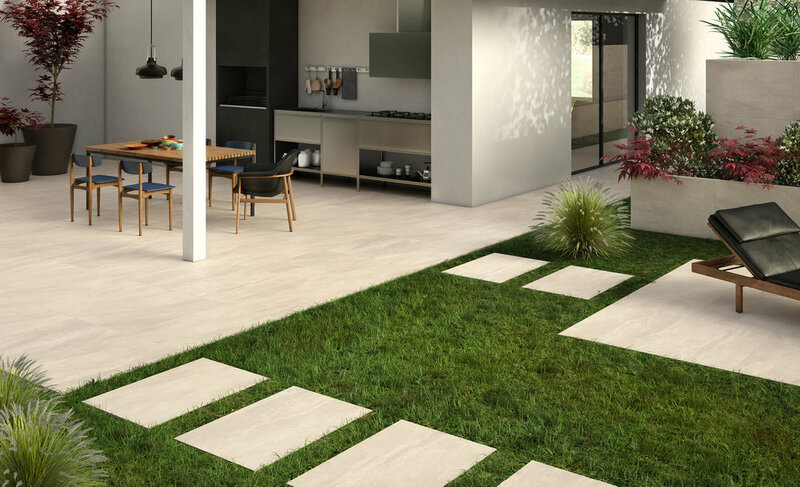 Padron Flooring provides an excellent and comprehensive selection of both beautiful and affordable tiles for residential and commercial projects. 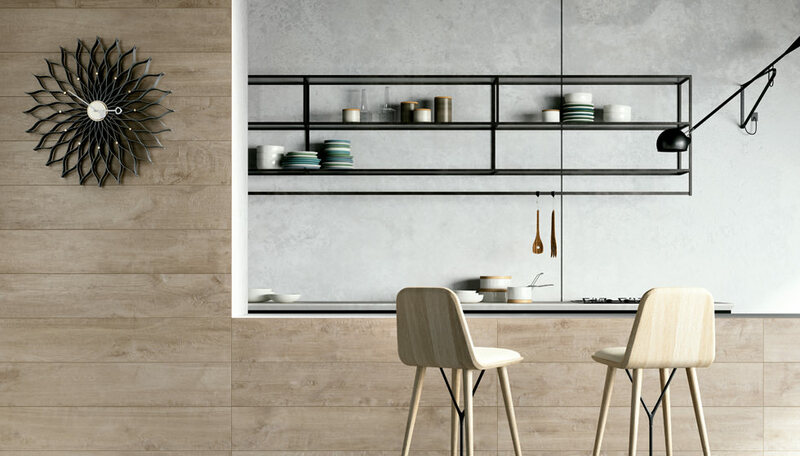 Their wide selection of tile options and how they are displayed is absolutely wonderful and enables easy visualization of how tile will look installed. Padron Flooring is the perfect showroom to visit to select all tile needed for residential and commercial projects! Lisette is absolutely wonderful to work with and consistently goes above and beyond to help with tile selections. Lisette is extremely efficient, knowledgeable about all tiles, and always very helpful! I highly recommend Padron Flooring and Lisette! 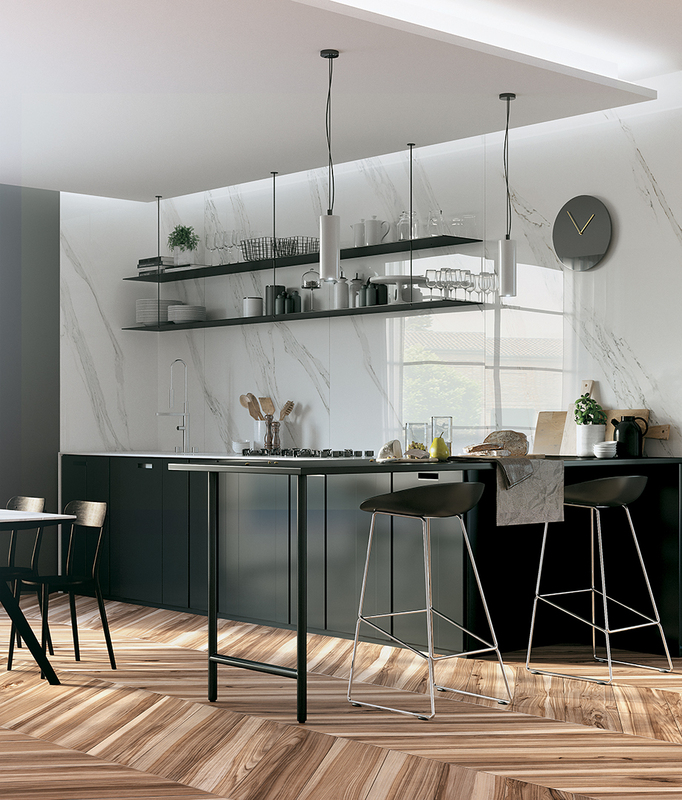 What a wonderful place to shop for tile!They offer a large selection of stunning tiles in a wide variety of prices, displayed in a big open and bright showroom. My husband and I were most fortunate to work with Lisa Albanese who is an extremely warm, patient, and knowledgeable salesperson. Lisa understood the look we wanted and made many suggestions coordinating tiles, and patterns while keeping us within budget. It was a pleasure working with Lisa! This is the most amazing tile store! The way it’s set up is incredible and the woman I worked with, Sue Gonzalez, is absolutely terrific. Her eye for design and her perky personality all contribute to a first-rate experience AND finished product. I have recommended the store, and especially Sue, to all of my friends who are redoing their living spaces and they all agree that Sue is THE BEST! Padron is a fantastic vendor! I am a very discerning customer with extremely high standards. I visited several other vendors before choosing Padron - I did a full renovation of a home - and they not only had the high quality products I wanted, but less expensively than the other vendors I researched. Lisette Thomas was my sales rep on the job and even months after the job was completed she always responded to me immediately and with complete and thorough answers when I had any questions or issues. This kind of support is invaluable. When I needed extra tile and needed it immediately Lisette went above and beyond the call of duty to make sure I got what I needed and on time. In fact I can say Padron was the best company I worked with during the renovation. They were the only vendor who responded to requests both immediately and well! Lisette also understood what I wanted design-wise and presented me with great choices and recommendations for the project. Finally, my contractor damaged my tile and got dirt embedded in the brand new grout. This was about nine months after purchasing the tile. I contacted Lisette with a desperate request for someone to help me with this issue having only a few days to fix it before I moved in. She answered me straight away and was able to provide me with a subcontractor who immediately answered my call and was able to do the work to clean and seal the grout within just a few days. I can’t say enough good things about this company. If I could give them ten stars I would! Efficiency, quality, reliability, thoroughness and kindness are the most important things when doing any project and Padron has never once let me down! I have used Padron many times for our business in remodeling. I have always worked with Sue and she has always been pleasant, knowledgeable & always helped steer me in the right direction. I have been happy with all materials I purchased from Padron and have recommended them to my friends. Great selection on the showroom, very good service. Very happy with the results. Lisa was great, she helped us in choosing great tile at an affordable price. Great service and selection. Padron Flooring is a family business with excellent customer service and reputation. All the employees are recommended, especially Cathy Dominguez. Cathy has been an incredible source of knowledge and resourcefulness - finding new ways to help us through more than 5 tile installations since 2009. We originally chose PADRON FLOORING because of lower prices, but they have an incredible selection of beautiful materials from all over the world (Spain, Italy, etc). Even when we faced unexpected problems during installations, the CUSTOMER SERVICE at Padron Flooring came to our rescue and this continues to be the main reason for returning time after time. Beautiful store great selection and awesome service. Everyone there is very helpful and friendly. They also are extremely knowledgeable and know what works well together. Lisette was more than willing to go above and beyond to help my boyfriend and replace our old tile with a new wood tile. Lisette was awesome to work with! So helpful, she was available anytime, and very easy to reach. Will definitely be back for future project needs. Thanks for all the help... much appreciated! We recently built a new home in Western Palm Beach County and went to padron floors to see their flooring. We met Sue and were awed by her knowledge and taste. We did all the floors, bathrooms and even showers. Everything came out great. We can't say enough about Sue, her services and her knowledge. We just bought a vacation home in the Orlando area and want to change the flooring. Guess what?! We went and saw Sue and we will be using Sue and Padron Flooring Design Center for the renovation. As an owner of a Real Estate office, it’s critical that the people I recommend to my clients are tops! I’ve worked with Padron’s Design Team for years. The Padron Design Team has a flair seeing the undertones, as well as, the overtones so that the end result is outstanding. The design experience and dedication, coupled with the quality of the product at Padron’s is a match made in heaven. Amazing design team and showroom! I highly suggest Padron Flooring and Design Center for your next residential or commercial project! Great location for tile flooring! They have all the latest styles and great prices, they are always changing their showroom so every time we go in there we are seeing updated current product. They deliver and they have an efficient pick up system. See Sue Gonzalez, she's an awesome sales person, quick efficient and very nice to work with. I have become a loyal customer after meeting Sue Gonzalez with Padron Flooring while working on a large project in West Palm Beach. Her customer service and follow up are exceptional! Plus, I LOVE the product!!! Great experience - top quality product with extremely competitive pricing. Padron is a great company that makes you fell like Family and they have a wonderful showroom with lots of quality selections. Sue is a wonderful help and has a great eye to help put a beautiful design together. Whether your doing a bath or an entire home, Padron is the place to go! 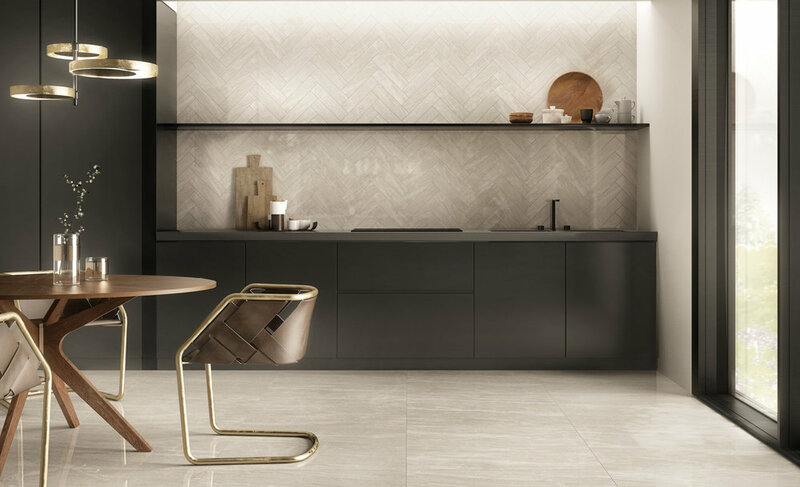 The showroom has a beautiful variety of tiles at very competitive prices. But the real star is customer service. They kept my tile until I was ready and Gary kept me updated every step of the way until the tile was delivered. We would like to take this opportunity to extend our Gratitude to Padron Flooring & Design Center for their part in the completion of the Isles at Wellington Clubhouse Renovation Project. The Clubhouse looks “Amazing” and we are extremely happy with our new Floors. We would like to further extend our Gratitude to Sue Gonzalez in particular at Padron Flooring & Design Center who should be recognized for her assistance and over the top customer service, knowledge of the materials at Padron and her patience through this long renovation process. Ms. Gonzalez was absolutely Vital in helping the Isles at Wellington pick the Flooring for the Clubhouse. Additionally, we would like to also extend our Gratitude for referring ARH Flooring & Baths, LLC for the Installation of the flooring materials. ARH Flooring & Baths, LLC., were a pleasure to work with, very professional and they completed the project earlier then expected. They did a flawless install on the floors and we are completely 100% satisfied with the work performed. We would highly recommend Padron Flooring & Design Center to anyone inquiring about tile work in the future. Thank you again for being such an important part of this project. The Isles at Wellington Community Association, Inc. I had a great experience at Padron Flooring and Design Center in Lake Worth. The design team has a ton of knowledge about tile, flooring, grout colors and the overall remodeling industry. I was referred to them from a close friend who had worked with them in the past. They insisted that I go to Padron and I am so glad that they told me this! My order was exactly as expected, with little to no waste. (unlike competitive stores where 10-15% of tiles were damaged, cupped, etc) in the past. Padron’s prices are reasonable, their selection is amazing, and their showroom is by far the best I have ever seen. I will be back soon for more projects, including my own home. Thanks Padron Flooring and Design Center! I have to say that my wife and I, had an amazing experience at Padron Flooring, the Sales and Design Team are true professionals, very knowledgeable and helped us pick out our new floor porcelain tiles. We visited many places and had a hard time picking out our tile. They made it easy for us, we told them our design and remodeling concept and they laid out many tiles that fit best for our home. If your looking for great selection of tile with amazing pricing Padron Flooring is the place, and they will make your experience worth your time! We had a fabulous experience with Padron Flooring, starting with Sue. She was great, helpful and very knowledgeable. The product itself is beautiful. We selected a 33” tile. She set us up with ARH (Albert Hernandez) installers. We had a limited amount of time to get this work done. Albert came to my home immediately, measured and went right to work. They were amazing and very professional. Everything was done to perfection. They were meticulous and did an impeccable job. We are more than thrilled with Padron and the ARH team. From start to finish, this was an A+ experience. We would highly recomnend Padron and ARH Installers. We were referred to Padron flooring through a friend of mine. I was in search of 2500 sq ft of tile for my new office. 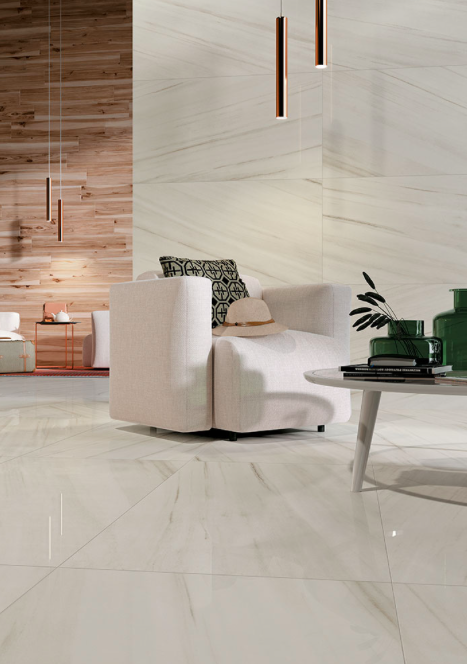 We walked into this beautiful showroom with overwhelming displays of gorgeous quality tile at unbelievable prices. The Padron Design Team immediately put us at ease with their knowledge of tile, color and design. They successfully guided us to the best choices for our job, answering all of our questions & concerns. We purchased 2 different rectified Spanish porcelain tiles. 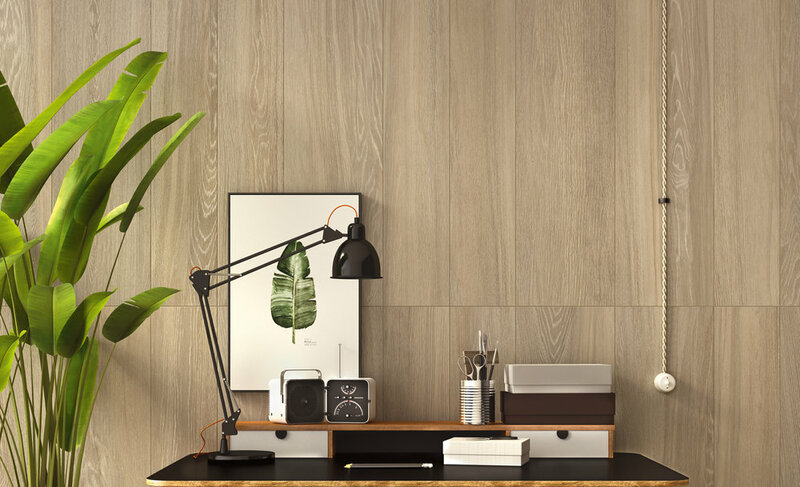 One is a wood look tile & a 24"x 24" both at only $2.69 sf. All the staff were friendly & Courteous. They sold us Spanish rectified at a price I had previously seen for China/non-rectified at another location. Score! We highly recommend Padron Flooring for the best experience! We love our beautiful new floors & will be back for future projects! We recently moved to a new 3,000 sq ft location and spent a lot of time finding great tiles with a great price. We probably went to five different places, maybe more. Finally one of our friends recommended this place and we decided right away. The store is beautiful and has many great deals. We purchased Porcelain tile from Spain and only paid $2.25 per sq. ft. The Padron Flooring Design Team will help you with anything you need and are very professional. You can ask them anything related to tiles and flooring. We are so happy with their product. The Design Team at Padron Flooring was beyond belief! They were marvelous! They directed us throughout the whole process and gave a honest opinion. We had an absolute ball while we were choosing such a tedious project. The Padron Flooring Design Team turned it into fun!! We ended up purchasing 3 bathrooms. The saddest part is that we are finished & will miss them. Padron Flooring helped me with my renovations of bathrooms and entire condo. The staff there are the best!! The floor is absolutely beautiful and the showers look like works of art. Anna and Marta and the entire staff worked with me to make choices that I'm thrilled with. They took care of every detail and were most pleasant and professional. I would highly recommend Padron to anyone needing materials and help with renovations. Exceptional highly recommend! Our experience from beginning to end was excellent. We were assisted by Sue, who is outstanding. She is friendly, professional and very knowledgeable. Most of all we appreciated her patience with us, she was always happy to assist. The installer recommended was excellent; we were so pleased with their quality of work. Our new wood tile floor is just beautiful - so happy! Many thanks to Sue, Walker and Alfonzo. Phenomenal customer service. Truly taking care of the customer is a lost art in today's fast paced society in my opinion. From the moment I walked in and each and every time I've visited (many times)- it's clear they emphasize making sure a customer doesn't go unwelcomed or paid significant attention too. I can be a difficult customer and was very indecisive which I'm sure was a pain for them, yet they remained completely patient and supportive. As a business owner myself, who strives for excellence with my team - we've got a lot of work to do to model the experiences I had with each employee at this company. Special thanks to Danny, Alisa, Marta, and Lisette. It's refreshing to see someone doing it right at each turn anymore. I will heavily recommend your company to anyone in need of flooring. From the minute you get in the staff receives you as VIP. Their knowledge of the product and their willingness to help in finding the one that suits budged and quality makes the experience extremely helpful. Upon completion when delivery and drop off is assigned you will meet Gary a man that takes pride in its timely service. What a pleasure. Thank you Robert Martha Danny and Gary for making my experience easy in choosing a product that becomes a signature to my house, you are professionals. Padron has the best selection at the best price. Sue goes above and beyond to help her clients. From her recommendations to her follow up. Appreciate everything she’s helped with me during my office and Home renovation. This place is SO nice! From the first visit to the final transaction, the Padron Design Team have gone above and beyond to be helpful and accommodating! They really have a large selection and a wide variety of materials and if you don't see what you are looking for you can ask them and they will find it! They are very helpful, caring , professional company we have ever used. Products are the best with a wide selection, my contractor Norlan prefers using their tiles and we just love our new home. Padron Flooring is top of the line. From customer service provided to the beautiful showroom. On Saturday 9/30 my husband and I visited Padron Flooring in Palm Springs, and had the pleasure of meeting the Owner Marta. I was wowed by the experience from end to end and highly recommend starting and ending with Padron Flooring for all of your home renovation and flooring needs. The selection is outstanding, high quality, and yet affordably priced. I personally do not write reviews often, but felt the amazing way we were treated, the selection of choices, and the over 40 years of experience that Padron Flooring brings deserves a 5 star review. Wide selection of beautiful tiles. Personalized and attentive service. Ask for Lisette! She offered helpful design advice, in the showroom and onsite during construction. She worked seamlessly with our contractor to deliver new flooring throughout our apartment, including outdoor balcony, and two fully renovated, gorgeous bathrooms. We are thrilled with our new home. Thank you, Lisette and the Padron team! From the moment we walked in to the end of our transaction the experience was incredible. Ana the sales representative was professional, courteous and always kept out design ideas and budget in mind when recommending products. She was attentive and did not rush the process, after the initial visit she continued to follow up and help us make our final choice. If you are thinking of redoing your floors or any other home improvement please stop by and see Ana. On the advice of a friend, I called Padron Tile for a recommendation for someone to refinish my 37 year old Mexican tile flooring. Marta recommended Everglades Marble and Stone Restoration. Vladimir was prompt and dependable. He responded to phone calls in a timely manner and when he said he was going to be here, he was here. So refreshing. My husband had questions about the finish: Vladimir came back the very next day to patiently explain to my husband what materials he had used and why my husband was seeing what he thought was thin applications. He applied more coats of finish without charging us extra and the tile is beautiful. While I had not purchased my tile from Padron, I will keep them in mind for future work and I will certainly recommend them to friends. Totally in love with this store. It is airy, fashionable, open, with lots of samples to see - Disneyland for adults who like tile. My husband has to drag me out of the store. They directly import so the selection runs from what you see elsewhere to completely unique tile, and their prices are great. And the people!!! Robert the owner was patient and wonderful, and the others are incredibly knowledgeable. It has a nice, happy, helpful atmosphere - one person showed me pics of her house floors to help me decide. Another person listened carefully and told me what was in common with the tiles I liked. I shopped around and ended up at Padron. After that there was no reason to go elsewhere. I brought samples home, and bought ~3600 sq ft of tile based on a sample. It's installed AND IT LOOKS INCREDIBLE. Serving Presidents and Kings and the Rich and Famous at the top luxury hotels in NY. The St. Regis. The Plaza. The Pierre. I know how difficult it can be to deliver and fulfill guests expectations on a regular basis consistently. Your Parents can rest easy and be proud of your companies success and that all there hard work to date was not in vain and their legacy is in good hands for generations to come. I can't thank your team enough for everything from Quality of Product to Wonderful suggestions when I was going down the wrong path to professional and courteous competent service to always having an accommodating mindset. Sue is an asset to your team and Padrone Family business. Even your warehouse personnel could not have been nicer. I'm not surprised by the above because I can recognize that it comes from the top. You and your husband are now friends and I will always recommend PADRON for tile needs with whomever I come in contact with. See I know a little bit about service. I was a hospitality professional for the last 40 years. I highly recommend anyone needing to purchase flooring to seek out Sue Gonzalez at Padron Flooring and Design Center! I recently purchased flooring there for my downstairs and upstairs and she made the process an absolute delight! She was very patient as I was deciding on which flooring I liked as well as extremely knowledgeable as to what would look best. I would certainly go back next time I need anything remodeled! We bought all our tile here and the customer service is great!! Thank you Sue for all your help. Being in the real estate business, I have had many experiences with contractors and repair services. By far, PADRON FLOORING exceeded my expectations. From purchase of product, to delivery, to contractors, to clean up, to payment - each step was handled with precision and respect, to me, the consumer. I have already recommended them to others and will continue to do so in the future to family, friends, and clients. Professional, fabulous and most of all affordable! THANKS Sue and everyone at Padron flooring in Lake Worth Florida. We LOVE our new floor! Excellent service, good quality tiles and reasonable price. Great experience, knowledgeable staff, excellent product mix. I purchased two full bathrooms. My experience working with Sue Gonzalez was easy. She was very accommodating. She is very personable and understood all my needs. It didn't take long for her to help me outfit an entire condo. I also appreciate her giving me the time and attention even though I'm up north. I really like her very much and she knows her tiles. Very pleased with Padron's selection and service. Sue was knowledgeable, patient and a delight to work with! My experience with Padron was outstanding. Initially, I found their showroom only because they were the only local distributor of a particular wood plank tile (they are 25 minutes from my home). That being said, because of the outstanding helpfulness of the sales team, I also bought shower tile there as well. Danny Padron helped me in person, and when I had questions he emailed promptly with explanations, with photos, substitutions when my shower tile was backordered, and grout colors. They have a great sample policy. The customer service is exceptional and the prices competitive. Definitely worth the travel time! Building a home can be a difficult and stressful experience. There are, seemingly, thousands of decisions to make. Sue Gonzalez from Padron Flooring made it easy. She has a superb sense of design; is a pleasure to work with; and never grew weary of our questions and changes. I cannot tell you how many times we visited Padron, but each and every time we were met with a big smile. I give both Padron Flooring and Sue Gonzalez my highest recommendation and a heartfelt thanks for making our home beautiful. I am in the process of renovating a penthouse condo on the intracoastal. Padron has a great selection and reasonable pricing but more importantly, a friendly and very helpful staff. Sue's input and insight into the floor and bathroom tile selection has helped transform the condo into something truly stunning. I have had wonderful experiences the 2 times my husband and I worked with Sue at Padron! She was always helpful and so knowledgable about everything and helped us make really great choices! We also noticed that she tried to help us find affordable selections unstead of trying to get us to spend a ton of money! We love how our tile looks and it's all thanks to Sue! I would highly recommend Padron Flooring. Ask for Sue! Huge selection, beautifully displayed. Sales staff is knowledgeable and helpful. We know we were in good hands. Highly recommend. We looked for weeks for the right tile, we went to all the big stores. We should have went here first because Padron's selection was best. We are very happy with our floors and the excellent service. Padron Flooring stands above the rest in Palm Beach County and has helped me to transform my properties one floor and bathroom at a time. From their exquisite product, to their friendly and knowledgable staff, they provide an unparalleled level of service and quality. Susan, whom we have sent clients, developers, and friends, has an impeccable eye for design and offers invaluable suggestions and ideas. Every single referral we have given her, has made it a point to call us back and rave about her exceptional level of customer service and expertise. She is truly an asset to the company and keeps clients coming back for more. She truly makes the renovation process a pleasure and I cannot wait to begin the next project with her assistance. I recently re modeled a 3400sq/ft home and used Padron for all the flooring and tile throughout. What a wonderful.experience. This is the fourth home I have redone and using Padron was my best choice. Everyone was so accommodating from the ownership to staff! My decorating associate Sue Gonzalez was outstanding. A true professional. She listed to my needs and taste and helped me to design a masterpiece. It was like having a a professional interior decorating on my personal staff! I highly recommend stopping in to Padron and seeing Sue for all your flooring and tiling designs. Fabulous experience! I met Cathy with a preconceived color and design style. After she patiently described color schemes and patterns, I completely changed my concept and, exceptionally happy I did. Cathy has an eye for detail and a flair for matching colors, patterns and style. Simply brilliant outcome. I purchased tile for my entire home at Padron Flooring.They had a great selection at good prices. My sales associate Cathy Dominguez was helpful, patient and showed great taste putting my selections together. She made the shopping experience a pleasurable one. Their selection and her knowledge was hard to beat. As a home builder Padron Flooring is one of our most valued partners. Their knowledgeable and professional staff have taken great care of our clients. Our clients have consistently given positive reviews of Padron and their staff. Padron has an impressive showroom with plenty of selections and inventory. When we have dealt with other flooring suppliers, inventory and delivery dates were always an issue. We have now been working with Padron for several years and can always count on them to have our material delivered on schedule. We truly value our relationship with Padron Flooring and highly recommend them. We had a great experience buying all the tile for our house. The have a great selection and awesome customer service! Cathy is by far a great design consultant, especially when it comes to material and client services. I specialize in remodeling homes from beginning to end and she has gone far above and beyond her services to assist me in my project planning endeavors. Padron flooring is truly a gem to find! They are all very knowlegable and a pleasure to work with! I use them for all my hard surface needs… My favorite girl is Lisette but don't let her know because I'll never get any help… Haha! I had the pleasure of meeting and doing business with Robert and Danny Padron and they are great, humble, and honest business men! I have purchased tile products in many states in the past, and I will state unequivocally that the professionals at Padron Flooring make the experience the best. The selection is huge and extremely well priced. The staff makes each step, of the way seamless. You will being yourself a disservice if you do not shop at Padron's. Ask for contractor support they also know the best. Tell them Mr. Mike sent you. Great selection, great service and the best advice I've ever received about my flooring. I had a limited amount of time to make selections for the entire house renovation: flooring, bathrooms, and kitchen. Although I am quick with my decisions, the overwhelming selection that Padron offers, would intimidate anyone. The showroom has options for any taste and a best price in town. But most importantly, the individual attention that I received was much appreciated. I didn't feel rushed. I didn't feel guilty changing my "final decisions". I valued the suggestions and guidance that I have received. Do not waste your time going anywhere else. This will be your final stop. I just recently visited Padron tile to purchase flooring for my bathroom. I found Lisette very helpful giving me ideas and different options to choose. Even though they were very busy, Lisette was great and explained everything to me. Great price, great selection, great sales person. I highly recommend Padron Flooring for your remodeling!!! The only place I go for tile. 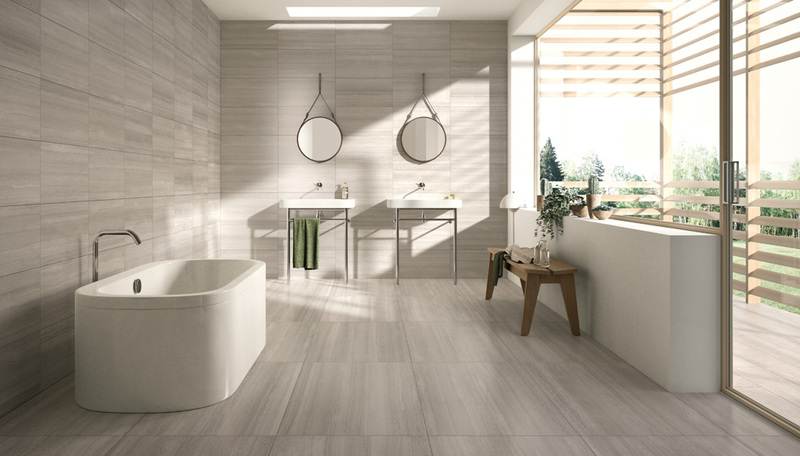 They have top quality tile that is not overpriced and the employees that work there are amazing and so helpful at helping you design the exact look you want in your budget. Dealing with Padron was a great experience. Prices were awesome and the prices even better! for us. With our thanks to Padron, our resulting renovation came out beautiful! Best tile store… Best service… Best showroom… Highly recommend everyone!!! We replaced our home flooring with tile and carpet from Padron Flooring. Our experience with their staff and installers was excellent. It was a very positive process from the initial visit to their expansive and beautiful showroom to delivery of materials and completion of the project. The Padron family and staff took a personal interest in assisting us with selection, measurement, fair pricing and logistical support. We are delighted with the new flooring. Laura H. & Star S.
We are simply delighted with our new floors and bathroom tile from Padron Flooring! 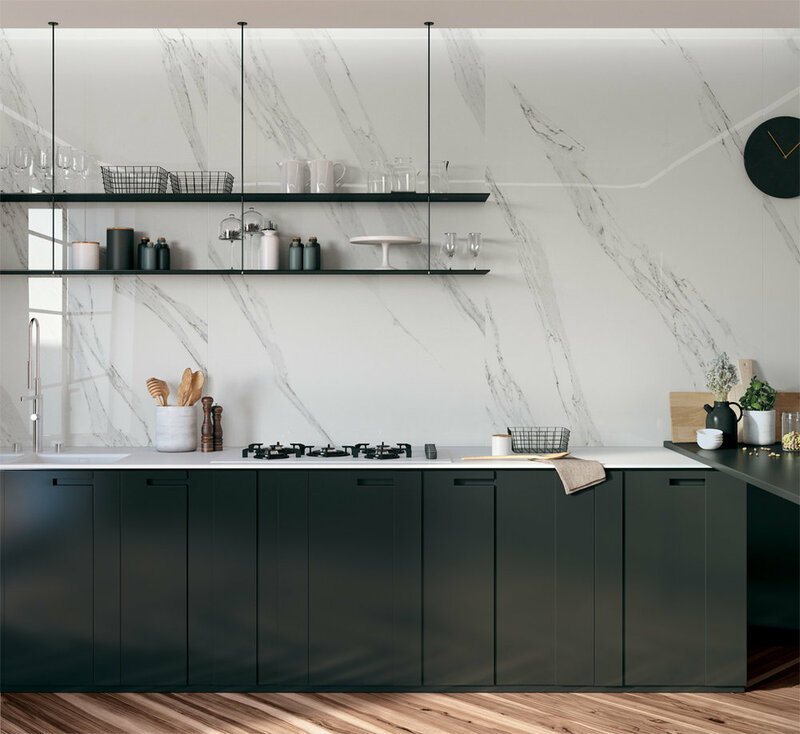 The process of selecting a tile from their huge inventory was made simple with the expert guidance of their sales clerk, Lissete, who was incredibly friendly, patient and knowledgeable. The installers were highly skilled and efficient. All work was completed within the specified time frame and any corrections were made immediately and without question. 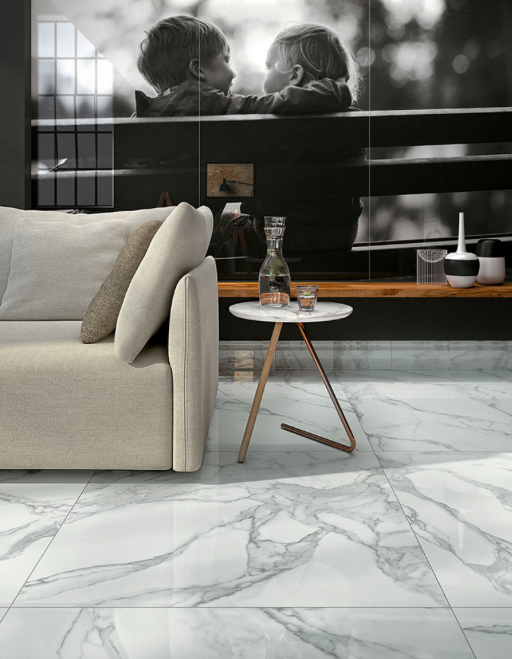 The tile we chose has proven to be both beautiful and highly durable! We highly recommend Padron Flooring and Design Center because they have a great selection of tile at all price levels and put customer satisfaction as their highest priority!! I was very impressed with your service and beautiful showroom.Your sales representative was amazingly well prepared for my visit. Before I arrived, she had taken the time to browse our company’s website to better understand the tile needs for our new learning center in Boca Raton, Florida. She was extremely knowledgeable and was able to suggest the perfect tile for our project. How fortunate were we to find Padron Flooring and Design Center for our home remodeling needs! Upon arriving, we were greeted by Padron’s friendly and professional staff. Cathy became our personal assistant helping us in all of our decorating needs from beginning to end. 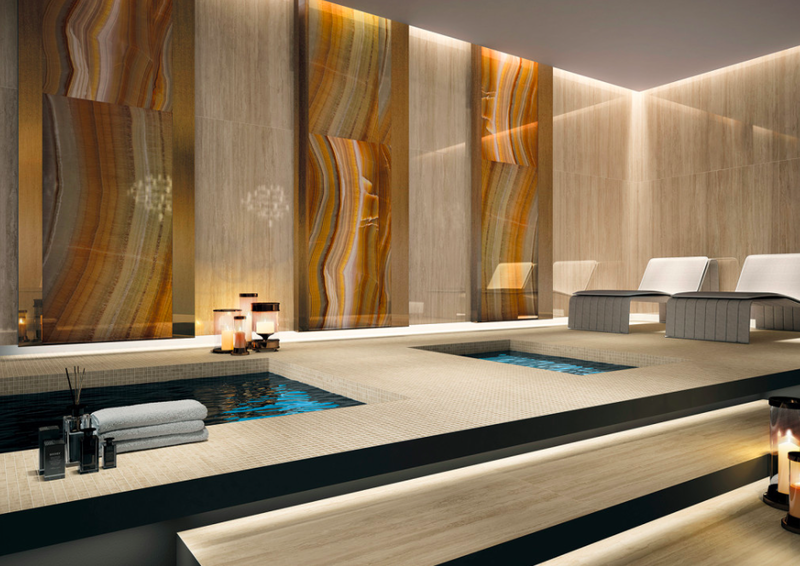 The tiles and wood floor chosen are exquisite! Our home is absolutely beautiful thanks to the quality of products and professional service provided by Padron Flooring! We highly recommend Padron Flooring and Design Center for all of your flooring and tile needs! Ozzie O. & Ana F.O. Dealing with Padron Flooring & Design Center has been a wonderful experience. We have purchased tile for our commercial and personal properties. The professionalism and knowledge of Padron Flooring and Design Center team has made the process of remodeling and building so much easier! I had a wonderful, stress free experience with Padron Flooring and Design Center. Our salesperson, Lisette went out of her way to be helpful. She was very knowledgeable, as well as professional. The product selection was great and the prices were reasonable. I would highly recommend Padron Flooring and Design Center. We were completely satisfied with Padron’s service. The sales process was informative and provided many choices. Their install team were professional, reliable, and organized. We would recommend Padron Flooring and Design Center for any project. It has always been a positive experience purchasing from Padron. The staff is great, the products are high quality, and the prices are good. I would unconditionally recommend them. What do you love about Padron Flooring and Design Center? We have always found the employees from Padron to be very friendly and professional. They have on many occasions gone out of their way to help us complete our projects on time. In manufacturing plants with stringent food safety requirements we feel confident that we have partnered with a company that will always have our best interest in mind. Amazing design advice and excellent customer service. I could not say enough about the entire staff at Padron, from the gentleman making the forklift delivery to the owner himself. Everyone is well-versed in the products offered, and each time I have visited the store over the last couple of months I have received nothing short of expert design advice and guidance. Padron has turned what could otherwise have been two very average bathrooms plus whole house tile projects into something easily worthy of national magazine status. I was referred to Padron Flooring and Design Center by a friend who first used their services.when her home was destroyed by hurricane Wilma a few years back. I needed help to remodel a foreclosed home I bought 6 months ago. Needless to say, I was already on a budget. Padron was able to accommodate my meager budget and assisted me in the redesigning of my new home. The professionalism I encountered has been top notch. But to take it a step further, they were also friendly and family oriented. As soon as you entered the door, there was always someone there eager to assist you. Cathy, one of their invaluable staff member always made me feel like I was her only customer. She was always very attentive, patient, just always aiming to please. Padron remodeled the floors in my whole house, my bathrooms, and even the backsplash in my kitchen. I want to express heart felt gratitude for the service I received from Padron Flooring and Design Center and encourage everyone to use them. Being a medium sized general contractor there is often a delicate balance between cost and quality. In many cases these components have an inverse, or opposite, relationship. Generally customers have to pay more for quality and for service as often is the case in the constructionindustry. In turn, this is what makes Padron Flooring so unique!. We are able to offer our customers the very best in quality, selection,and service without paying inflated prices. Padron always has a product that works for any of our customers whether residential, commercial, or government projects. The showroom is spectacular and the service is impeccable. I would recommend Padron Flooring to everyone and please do not hesitate to call us if you need a reference. I feel like Padron Flooring and Design Center is a part of my business for as much as they help my clients and me. I don’t think twice about sending my clients to Padron, knowing they will be well taken care of by professionals. The owners and staff at Padron go the extra mile to design the perfect layout for my clients. My clients always thank me for sending them to a place that was so educated about wall and floor coverings. Thank You Padron Flooring and Design Center for always helping my clients and me. I couldn’t imagine doing business without you. I have been doing business with Padron since 1993. Their service has always been outstanding from conceptualizing the project, product selection, to measuring and installation. My current residence was completely tiled by them in 2007 and they did an incredible job in meeting my timeline. I have been recommending their services for years and all my friends have been equally pleased. They are true flooring professionals and genuinely care about their customers’ satisfaction. The Padron family and staff are the tops!